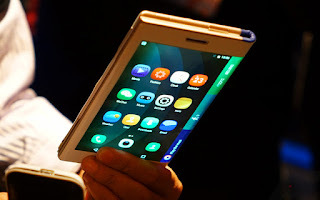 Home » Reviews , SAMSUNG » Samsung Foldable Smartphone Debuts At CES 2019. Also, another of the executive describes the foldable smartphone as "specialized for multitasking"
and “highly useful for people who own both a smartphone and tablet”. At the CES, which is the world's gathering place for those who thrive on the business of consumer technologies, you can expect to see various manufacturers display their current and future consumer technology products.